Home » »Unlabelled » All You Need Is One Tea Bag And You Will Never See Mice Or Spiders In Your House Again! During the winter months, the one thing I dread most is when all the creepy crawlies start worming there way inside to escape the cold. 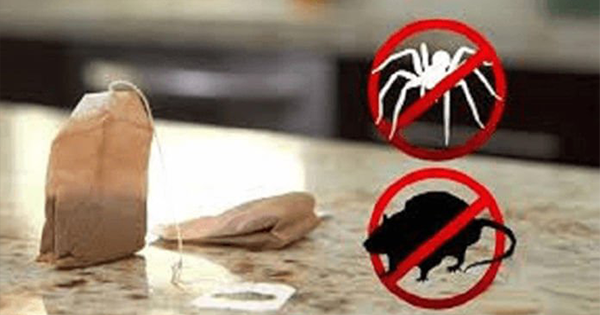 If you’re scared of either mice or spider then this little trick has the potential to change your life. No more waking up in the middle of the night with major anxiety that there is a spider on your face. You don’t have to spend a lot of money to get rid of them – you don’t have to use dangerous chemicals either! There is a lesser known trick of the trade where you can simply use a tea bag and some water to ward off the creepy crawlies and rodents. The magic tea that does the trick is Peppermint, all you have to do is brew the tea and leave the bag in the room where the spiders or mice are.